Marketing agency O2 celebrated the end of an incredible 2016 with two prestigious industry accolades at the recent MENAA Awards 2016. The agency picked up ‘Best Business Leader Award’ for O2 CEO and founder Mohammed Johmani, alongside the ‘Customer Delight Award’ for O2’s work over the last 12 months. 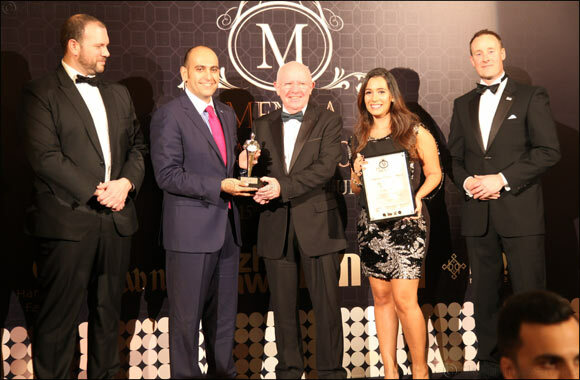 Now in their fourth year, the MENAA Awards were held at the Burj Al Arab Dubai on December 15, 2016, with the cream of the region’s business leaders in attendance. The awards were held in partnership with the Institute of Leadership & Management, City & Guilds Group and Zurich University of Applied Sciences. Each year, they aim to recognise companies for their commitment to excellence, setting new standards for best industry practices, and innovative strategies. Chosen by an impartial jury of industry experts, the ‘Best Business Leader Award’ is awarded each year to a selection of company heads from across Asia and the MENA region. Winners are commended for ground-breaking initiatives and outstanding achievements in their respective fields of industry, with the award proving each winners’ exceptional nature in the eyes of their peers in the professional community. For the ‘Customer Delight Award’, companies from across the region are honoured for their commitment to going beyond ‘customer satisfaction’. The award recognises organisations which have introduced creative and innovative methods to serve their customers’ needs, bringing delight to their customers through a relevant, timely and accurate service which adheres to the highest international standards.